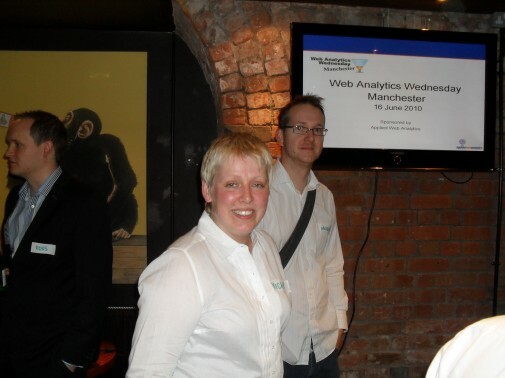 Applied Web Analytics sponsored the inaugural Web Analytics Wednesday Manchester, which took place on Wednesday 16 June 2010 at Revolution Deansgate. We were lucky to have some great presentations from Phil Pearce on blackhat analytics as well as an update from Vicky Brock, Board Member of the Web Analytics Association, about the newly launched certification process. Our next meeting is scheduled for Wednesday (no surprises) August 18th, at a venue to be confirmed. You can also take part in discussions and get updates from the WAW Manchester LinkedIn group as well as use the #wawmanchester hashtag on Twitter.